Attention New York, Boston, San Francisco, Los Angeles and Washington, DC – we have immediate opportunities in your area! You can secure up to 5 FREE spots for your organization when you host one of our training courses. Contact Christine Francis, cfrancis@leadstrat.com today! Your employees for their professional development? An impressive gift for your top clients? Your recipients will thank you for the complimentary training. *Up to 5 FREE seats available. Contact us to learn more! Our training courses are the leading facilitation courses in the United States. With the most Certified Master Facilitators in our firm, over 500 professional facilitators in our network, and 20,000+ graduates of our courses, you will proudly host top quality training at your site. 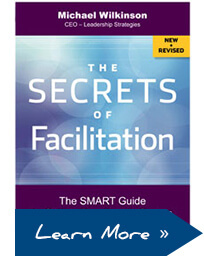 No need for employees at your organization to travel for facilitation training. Your employees can enjoy it conveniently in their own city or even their own building. This means significant savings in venue fees, travel costs, etc. We’ll accommodate you with an easy, seamless experience. See how RGS saved on their training budget by being a host. Here are the cities where you can host our public training! Write “Host Site” in your message.